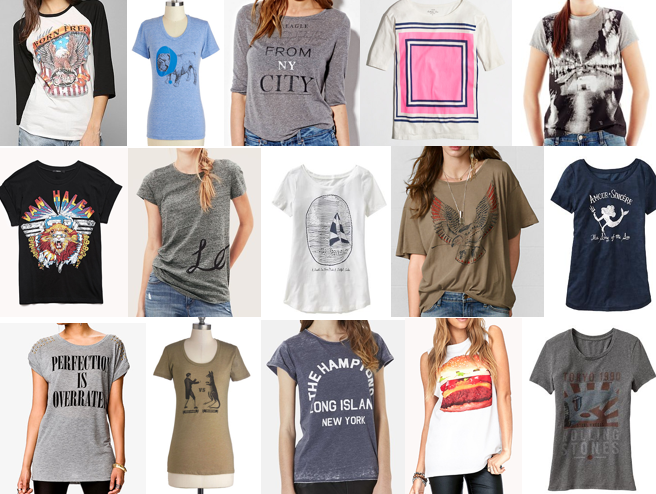 "From My Closet: 17 Ways to Wear a Graphic Tee"
Two new Babble posts today - click each image to read! Which outfit is your favorite? Also, I tried a new format - instead of clicking through slides, the posts below is laid out on one page (no clicking required). I'm not sure I like it (the photos are small), but let me know if the functionality is better on your end! "My Style Addiction: Shop 15 Graphic Tees Under $50"